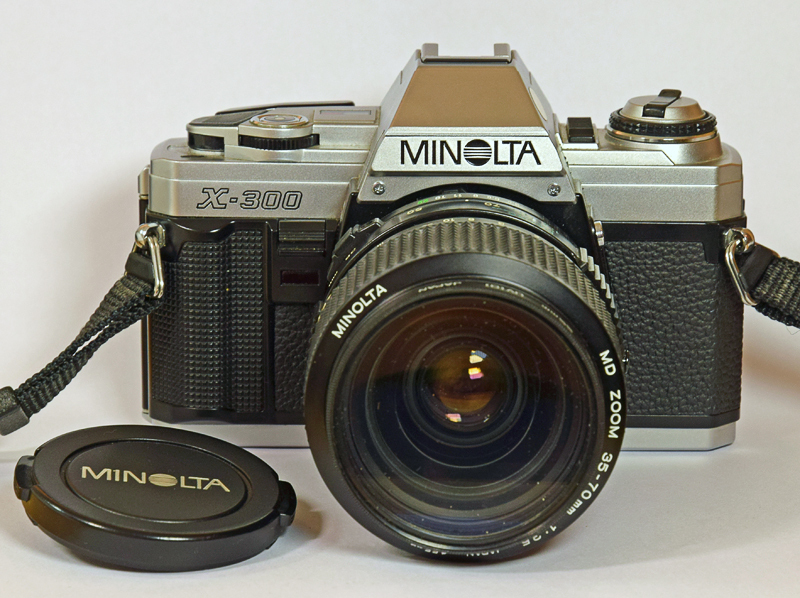 Founded in 1928, Minolta really hit the headlines post WW2, with a succession of 35mm rangefinder cameras. In 1958 the SR-2 SLR was launched, together with a range of lenses, the quality of which were a match for almost any other. Minolta produced some cameras for Leica (probably the best Leicas available). In 2004 the company merged with Konica, but pulled out of the camera business altogether in 2006, selling their technology to Sony (e.g. the A-mount lenses). 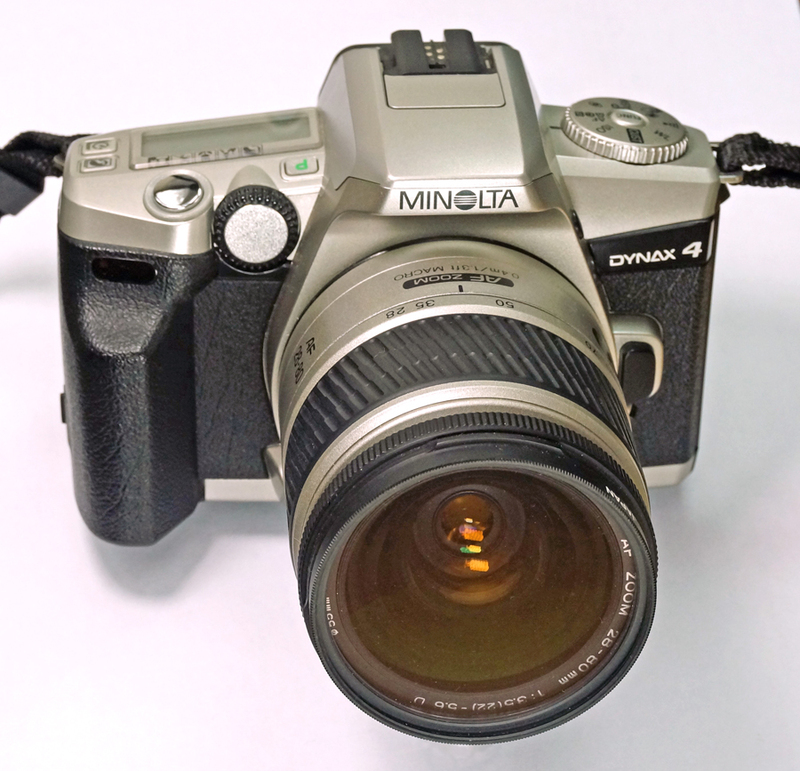 If you intend collecting vintage Minolta cameras, there are many fine models to choose from, although the later auto-focus models are probably worth avoiding, and the Minolta Vectis (great camera – I had one) is of course an APS camera, so might not be the best choice these days. Lens: Interchangeable Minolta SR mount (aka ‘MD’) – Auto Rokkor-PF 55m f/2 currently fitted – 6 elements in 5 groups. The SR-1 was introduced in 1959 (a year after the higher-spec SR-2), and continued in production until 1967, with various modifications. 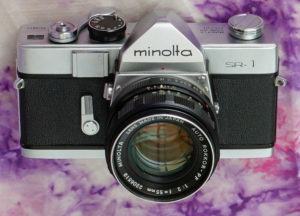 It was succeeded by the very similar SR-1s, which continued until 1971. The SR-1 & SR-2 were complete system cameras: 31 lenses from 21mm to 1000mm (including 4 zooms), bellows, extension tubes, microscope adaptors etc. 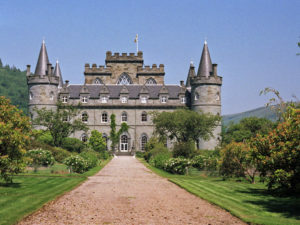 It was aimed slightly below the professional Nikons and Topcons, putting it in the same league as Miranda and Pentax, and above such as the contemporary Petri and Canon offerings. Minolta X300 / X370 etc. 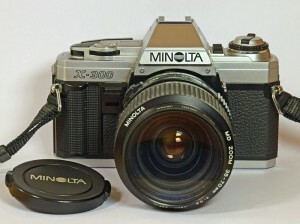 My last manual-focus SLR. Early models were made in Japan, then Malaysia, and later I think it went to China (who sold a ”Centon”-badged clone). This one’s Malaysian – I had a black one as well at one time – I think that was Japanese. A great, solid camera. After being laid up unused for 19 years it sprang back in to life as soon as it was turned on. I treated it to new batteries, even though it didn’t seem to need them.